At some point in the #tuffsocksnaturally project, I had a point of anxiety where I just couldn’t imagine being able to spin enough sock yarn to keep up with my constant sock knitting. A person with more capacity for consistency might decide on knitting something else. Or focusing on spinning more. I didn’t do that this time. The future is unwritten so I’ll see how it unfolds and aim to move in a positive direction! 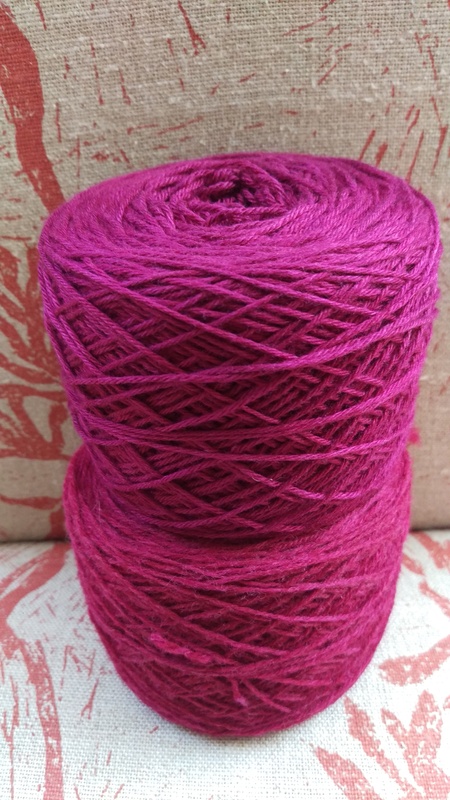 Instead, I decided on harm minimisation and bought some all-wool sock yarns from a destash on Ravelry. I managed to buy some undyed yarn, but while I’ve avoided yarns containing nylon, AKA plastic, I haven’t completely avoided chemical dyes. So, there’s an ongoing project. These socks for my beloved are shown above, on some form of public transport or another. Here, having a superb hot chocolate with my daughter and a pretty serious conversation if I remember right! On our way to a climate action protest (by train). Sock and backpack in foreground, banner for our climate action choir in its vaguely indigo-dyed bag laid along the bench! And here they are, done, dusted and ready for winter which feels very far away here at this time of year. Dear and patient readers, I hope that you have been enjoying the festivals you celebrate and the holidays that you are able to arrange. I am sorry to have been absent so long–it has been a time of massive transformation at our place and other commitments have needed to take priority. I am hoping I might now be entering calmer times. However–there has been some making going on in between things… One of my sister-out-laws was my Kris Kringle this year–in that family, there is a cap on the amount you can spend on a gift and you are responsible for a gift for just one person. It’s a very sensible arrangement that results in a small number of carefully chosen gifts, that I wish I could convince my family to take up. My sister-in-law requested a eucalyptus-dyed shawl. What a pleasure it was to create that! My favourite neighbourhood eucalyptus tree contributed the leaves, and the shawl is made from wool–ever the perfect match, as India Flint says. I also dyed a smaller silk and wool scarf that seemed to me perfect for a dear friend. You can see how much more readily the wool takes up colour (left) than the silk blend (right). 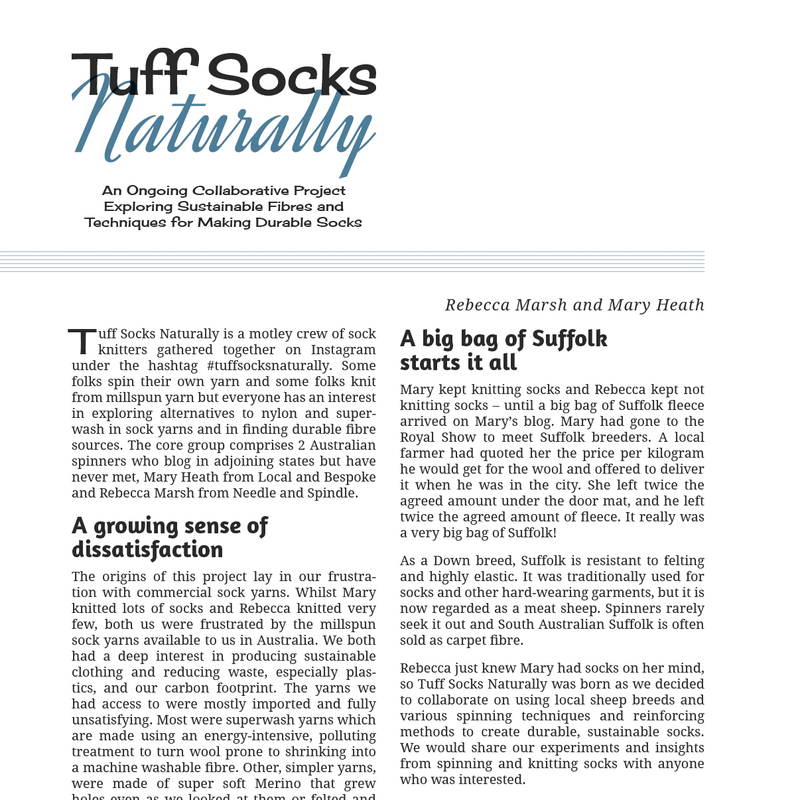 Dear Readers, the open, collaborative project that is #tuffsocksnaturally– spinning, dyeing and knitting tuff socks without nylon– has led to an article by the wonderful Rebecca Marsh and myself in PLY Magazine. PLY is a rather fabulous magazine run by Jacey Boggs, whose spinning know-how, fabulous art yarn spinning videos, book and craftsy classes the spinners among you may well have learned from. I know I have. I listened to her extraordinary podcast years ago and appreciated her blog while it lasted–both since eclipsed by Ply. Should you wish to look into Ply and read our article–needless to say it is available online here–and digital copies are one of the options for those of us far from North America, where the magazine is published. We are in the Sock Yarn Issue, Winter 2018. Winter in the other hemisphere, Australian friends!! I write from a sweaty location in sub tropical Australia where knitting socks at this time of year (because needless to say I am knitting them) even turns the heads of knitters in this heat. 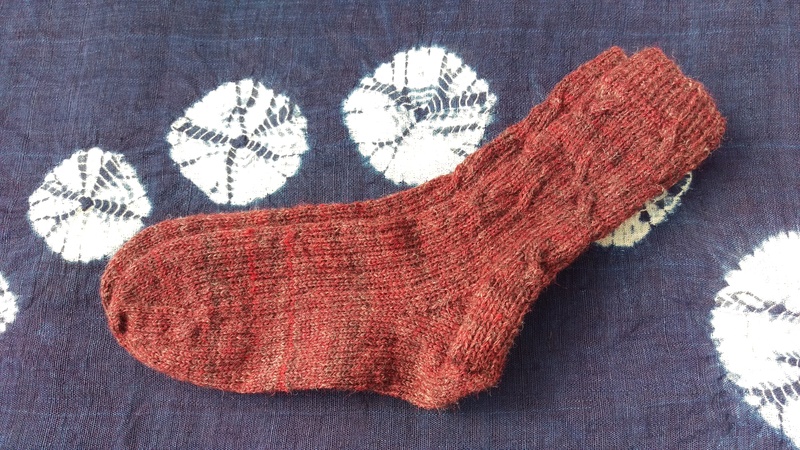 This project was such fun–and only partly because socks are the best knitting projects. Mostly because Rebecca from Needle and Spindle is a fabulous, creative, generous, and wise collaborator. It has been a privilege to work with someone so gracious, experienced and farsighted. You can read her post about our article here. Without her, my spinning Suffolk would have been a preoccupation of mine without all the fun of discussion, social media, and collaborative exchange. Meanwhile, I am knitting down leg 2 of one pair of socks and headed for the outrageous cochineal pair of tuff frankensocks-to-be depicted above.